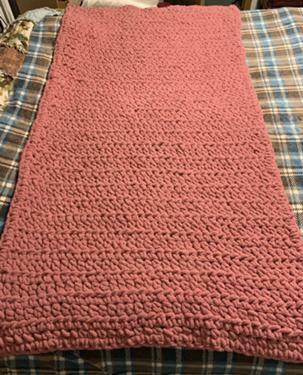 For Sale: Handmade Crocheted big yarn blanket in mauve. 38” x 70”. 585. Two four 5. 82 8 three.